I am a soup dunker. There is just something about having some sort of biscuit or bread to go with a bowl of soup! I actually grew up eating chili with “oyster crackers” or “Saltine crackers.” After years of avoiding any sort of cracker to go with my chili, while I was trying to avoid gluten, processed grains, and other unnecessary additives, I decided I needed to figure something out. I kept seeing cornbread paired with chili, and after my first attempt a couple years ago, I was sold! 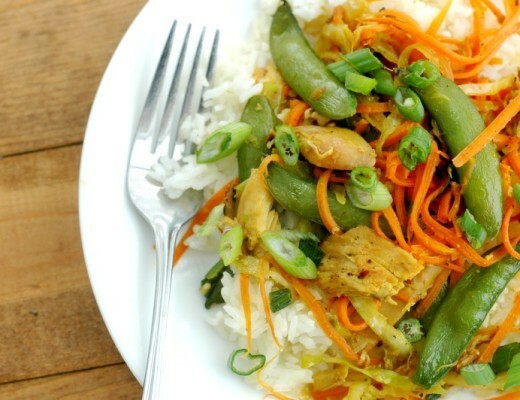 My biggest goal with this recipe was big time simple and quick. A lot of times I am pulling chili out of the freezer for a quick meal, so being able to pop a dish of cornbread in the oven in less than 10 minutes is super helpful. The texture in this cornbread is perfectly soft and moist from the cream and flour combo, but also has that slight crisp and crunch you want in a corn bread from the corn meal. Get a big smear of butter up on top, and get that cornbread dunked right down in that chili! Beat the butter, eggs, and sugar with beaters for about a minute. Pour into a small buttered baking dish, and bake at 425 degrees for 20 minutes. You can double up and freeze individual squares, although the batter comes together so fast I just like to make it fresh every time. I use a small, 2 quart baking dish for this recipe. A 9 inch pie plate works too if you want the traditional “triangle” shape to your cornbread! Here is the cornmeal I like to work with. 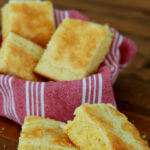 If you prefer a smoother cornbread without the slight crunch of the little corn meal bits, you can use this corn flour . Here is where I get white rice flour and tapioca flour . 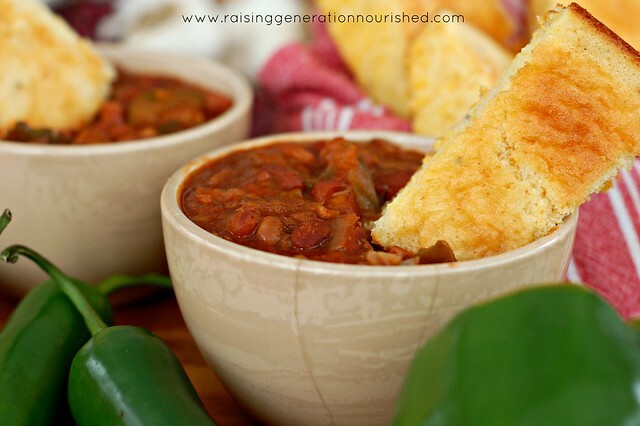 Cornbread goes so well with slow cooker chili and/or fiesta soup! 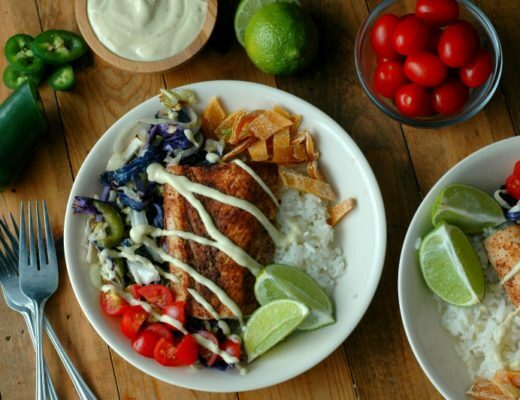 This post was shared at Real Food Wednesdays and Allergy Free Wednesdays! Mmm I LOVE cornbread. Your recipe looks so good. Your photos are beautiful as usual. I wish I had some with your chili right now. Yum! This looks quite tasty! Making this for my GF daughter! Thank you! I have the second the comment about your pictures. So gorgeous. I wonder what you can sub the milk products in your corn bread. It sounds so yummy. Hi Anna! You could try coconut milk yogurt for the sour cream and coconut milk for the milk 🙂 Palm shortening, coconut oil, or lard for the butter! I didn’t realize it was so easy to make cornbread! Now all I need is a warm bowl of chili and I’m set! Thanks for the awesome recipe! Yes! So fast! Your welcome! 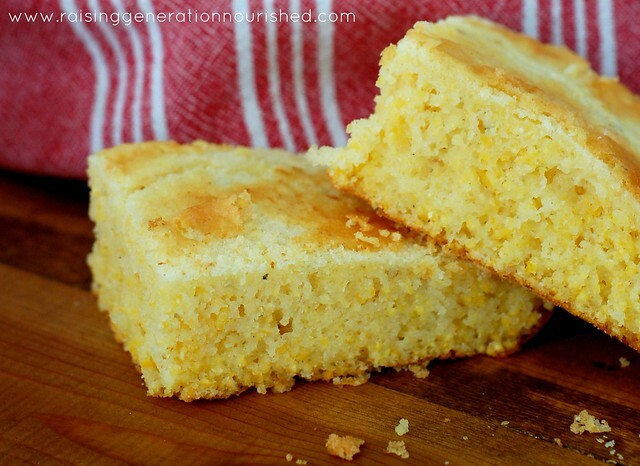 The cornbread looks really moist, and looks like it holds together well, perfect for dunking! 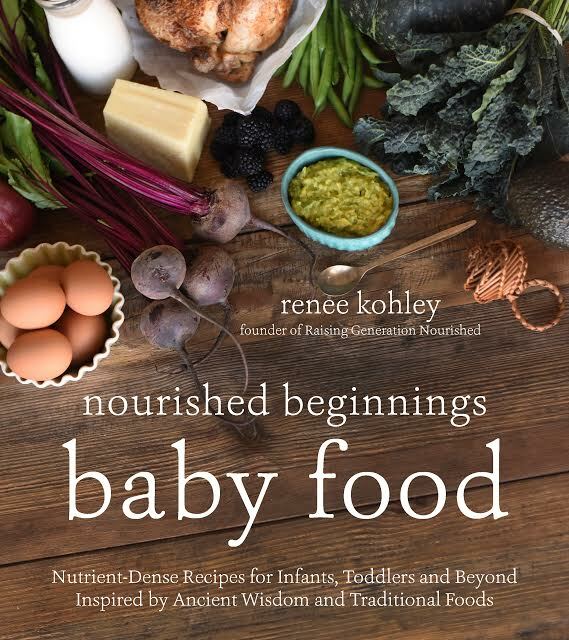 What a great alternative for those who can’t have gluten! A good cornbread recipe is hard to find! Thanks for sharing, such comfort food! My husband and I use to eat the box kind all the time. We haven’t had any in a long long time. We tried this the other night and it is awesome!! We love it! Thanks for the recipe. Oh great Elly! My husband grew up on the boxed kind too and he gives his approval as well – which was HUGE for me! Glad you liked them! Made this for the first time today to go with leftover chili… So sad its been posted here for 2 years and this is my first time trying it! Its amazing!! I don’t even want to dip it in my chili, I just want to butter it and eat the whole pan on its own 😉 Thanks for yet another amazing GF recipe!! 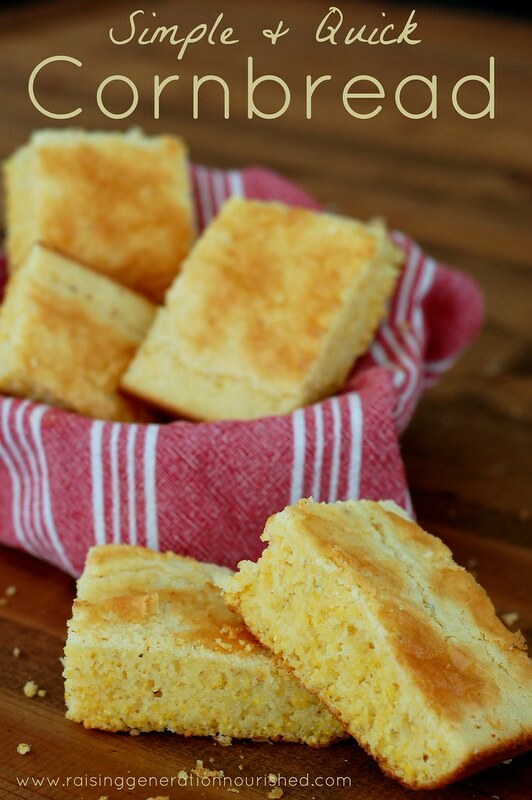 Love this cornbread and make it often. I open up a can of coconut milk and use the cream on the top for the sour cream and use the liquid in the can for the whole milk. It works great! Thank you for all you do to help us mamas out! That’s great Emily! I can’t eat dairy since this post published and use coconut milk as well! It’s delicious! Any suggestion for tapioca starch substitute? I don’t have enough on hand. 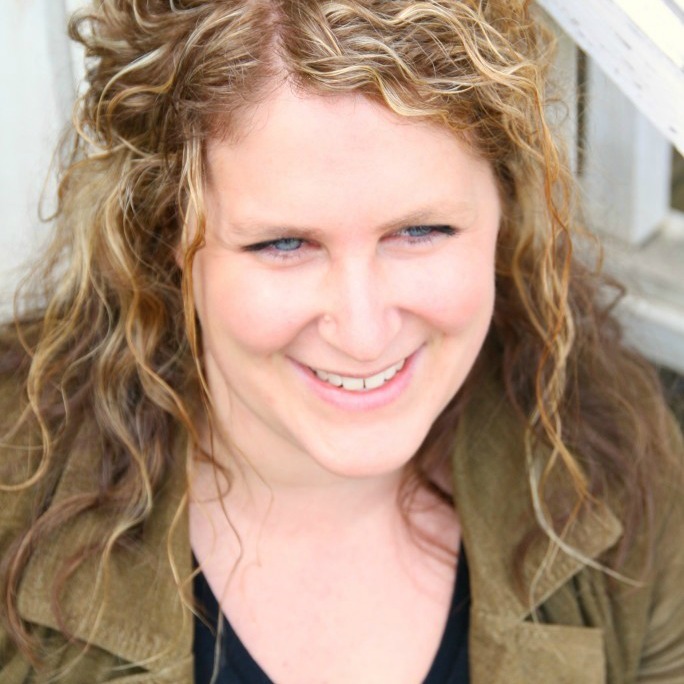 Hi Nichole! Potato starch or arrowroot should work well!